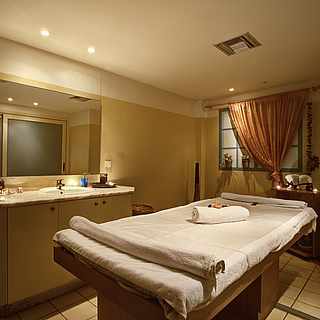 A wellness holiday with a TUI MAGIC LIFE wellness hotel gives you the chance to really relax. Wellness is about reflection, appreciating yourself, and nurturing responsibility for yourself. Finding relaxation leads to inner reflection, wellbeing and healthy physique. Do yourself and your family good with a wellness holiday at TUI MAGIC LIFE. Helping that holiday feeling last. Find peace at these resorts! Yoga Travelling promotes wellbeing and health. Practise a variety of exercises during your yoga holiday and place yourself on the path to peaceful relaxation. Relaxation exercises and mediation techniques help with overcoming stress and strengthen the immune system. Train you muscles, stimulate your internal organs and promote your sense of balance. Our courses run several times a week. Our outstanding course leaders help make your yoga holiday a long-lasting, revitalising experience. With TUI MAGIC LIFE you’ll learn Pilates from a trained team during your holiday. Pilates is systematic physical training that serves to strength musculature. The effective exercises guide you to a relaxed mind and a lean body. Firm up and stabilise your core with Pilates. The whole-body training strengthens your deep musculature, ensuring a healthy posture and improved mobility. Through targeted concentration and controlled breathing, tension dissolves and control over your own body increases during a Pilates holiday.